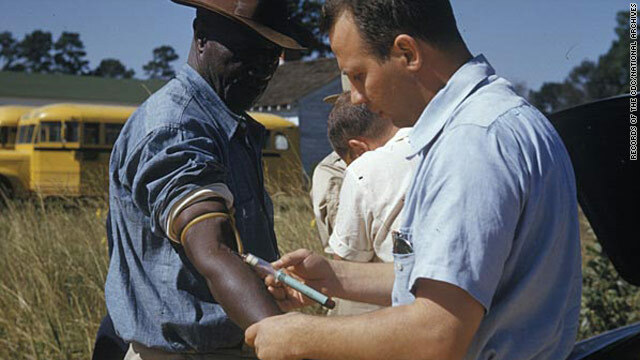 The Public Health Service took photographs during the Tuskegee syphilis study, but no captions remain. This is one of them. (CNN) -- The Tuskegee syphilis experiment of the 20th century is often cited as the most famous example of unethical medical research. Now, evidence has emerged that it overlapped with a shorter study, also sponsored by U.S. government health agencies, in which human subjects were unknowingly being harmed by participating in an experiment.